That I cannot tell without an enlarged view. But in the pictures the bottom has the typical features of a Ming bottom/footrim. 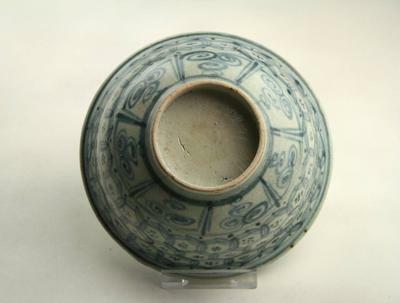 Visit earlyming.com for examples of Ming dynasty items. 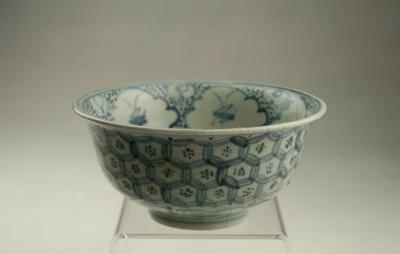 Looks like a Ming dynasty bowl. Would need a closeup picture of bottom and foot rim to confirm this. I don't think this bowl itself is rare, but it is in an excellent condition, much better than most of this type I have seen before.